Once you are able to access a particular video using the steps outlined here, you can simply copy over the URL of the video, and give that to the recipient. As long as they can pass the security checks, they will be able to watch the video. For example, we have opened the Sales team channel, and are playing the Quarterly meeting video. 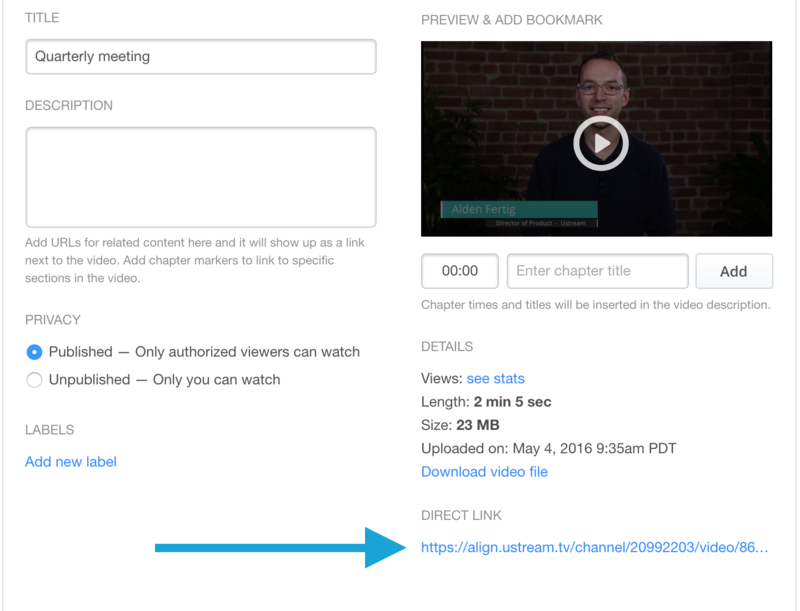 To share content that is embedded in another website other than the Ustream Align channel page, simply share the URL of the page where the player is embedded. The recipient will then follow the same authentication steps that they would in the case of viewing directly from the Align channel page. Log in to the Align account, and navigate to your Ustream dashboard. Click on channels in the far left column, and click on the name of the channel you wish to work with. This will open up your channel settings, and will automatically open on the videos tab. 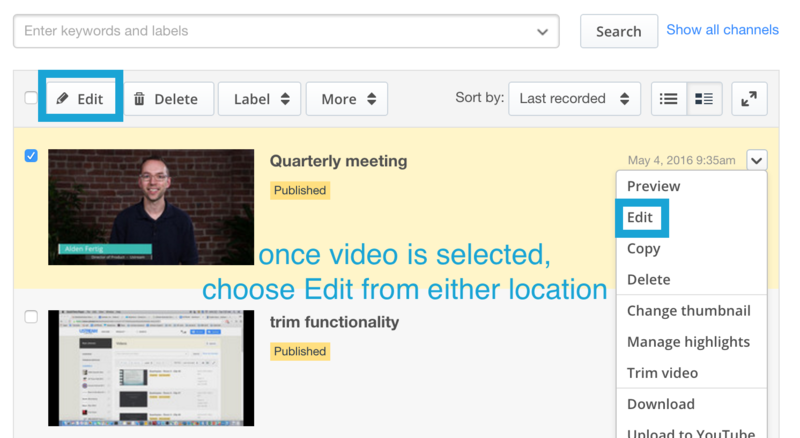 In the videos tab, click on the video you wish to share and choose 'Edit' either from the dropdown menu at the top of the page, or from the dropdown arrow that will appear to the far right of each video. Once in the Edit tab, the direct URL to the selected video can be found in the lower right.